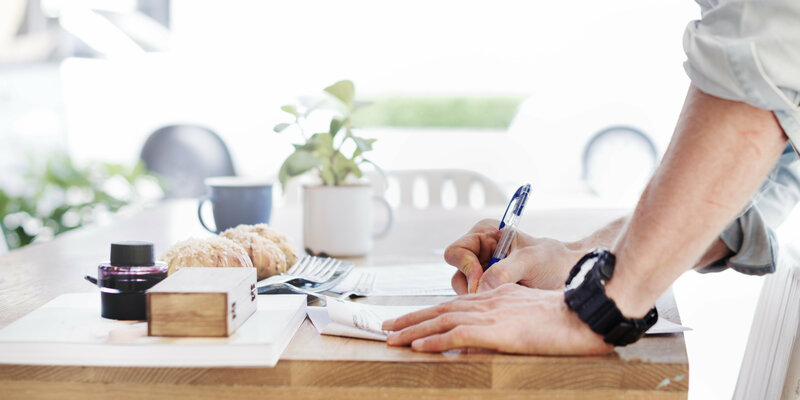 Before we start, make sure you have all the necessary text reference materials, images and videos ready with you. Creating online lessons on OurCoaching.com is a very easy process. It is as easey as creating a Microsoft word file. Our online tools and editor makes sure you can create your online self study lessons within few minutes. Be sure to collect all the reference text materials, images and video files ready before you go ahead. The following guide will help you in creating your first lesson today. An online lesson is a self help / self study material for the students or Learners. It is a informative material with which learners can gain knowledge and reference from. It can be from course materials or out f course chapters also. First lets navigate to create new lesson screen. You can go to this screen from various pages on ourcoaching.com. Once you have reached the screen to create new Online lesson, next step is to chose the right topic / subject or chapter for which you are making content for. This is particularly and important step as with the right selection made, your online lesson will reach its desired audience automatically. Our website's algorithm places that lessons per subject selected. All our email communications also dependent on the subject that you select. Title is very important for your Online writing. THis helps user to get an exact identifier on what exactly will be in this particular lesson that they are reading. It should be as short as possible and should be precise to the content in the lesson published. Lesson type is an important identifier. You can choose to create a Video based Lesson or a Rich-Text lesson. For a video based lesson, Please enter the complete URL of your YouTube video from your YouTube channel. We only allow monetisation of videos from 1 single channel per account only. Ownership of the channel will be verified by us. For Video lessons, you still need to provide atleast 600+ words relevant text content for reference. For rich text type lesson, use the Editor provided to create your content. Once published, our website's automatic algorithm comes into play. 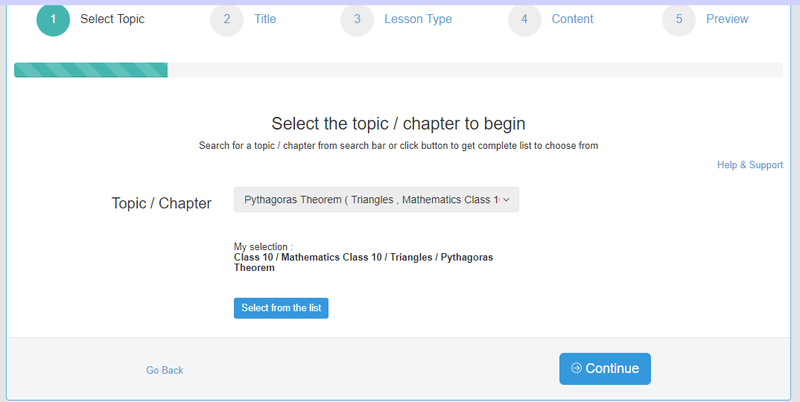 It automatically pushes your Lesson to various places on our websites for users to access. 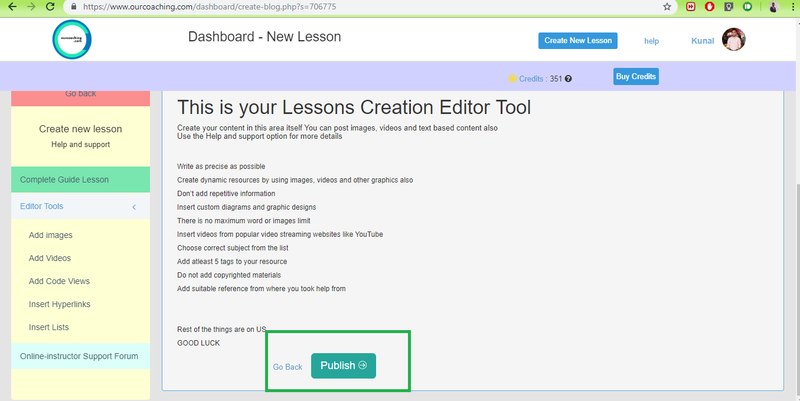 After you submit a Lesson for publishing, you can always choose to Edit or format the contents of lesson. After your Online Lesson gets published, You get earnings from it. Earnings depend on a number of factors and varies for different chapters/topics and subjects. It also varies time to time. On some days due to more traffic on your content, the earning can be significantly more than usual and vice a versa. You can track your earnings in real time from your Dashboard.